Home Everything else 35 Best and Useful Camping Lights. 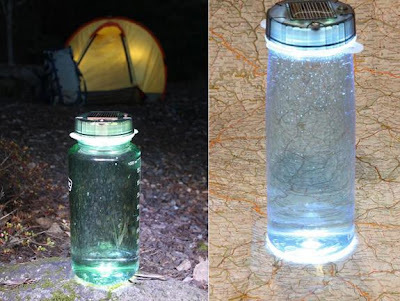 35 Best and Useful Camping Lights. Collection of ‘Best and Useful Camping Lights’ from all over the world for your camping. VSSL Flasklight: The VSSL Flasklight is a stainless steel flashlight that can also hold your beverage. It features a flashlight that can provide over 20 hours of lighting in ‘Bright’ mode, two compact stainless steel travel cups featuring a telescopic, leakproof design that folds flat for easy storage, bottle opener and removable oil-filled compass. Dual-Purpose Trail Light: This transformable walking stick’s holder can be replaced with a light when the trail gets too dark. Arka Lantern and Flashlight: The Arka is a compact lantern/flashlight that also works as a portable recharging station for any USB-compatible device such as smartphones, cameras, GPS, and more.Dual Flashlight: When you pull this flashlight from opposite direction, it separates into two flashlights that are connected with a fluorescent strap. The florescent rope/strap can be held by two people on either ends, while the other can use it as a safety guide. SpotLit Light: This mini-beacon by NiteIze can be of great use in the dark. It comes set in a lightweight stainless steel carabiner that can be connected to jackets, backpacks, camping gear or anything that you want.Foldable Solar Powered Lamp: This portable solar powered lamp features a foldable design for easy transportation and storage. It recharges during the day and the stored energy powers up the lamp at night.Fogo: This smart flashlight features a built-in GPS, digital compass, an accelerometer, 2-way radio, text enabled, USB recharger and more. It connects to your smartphone via Bluetooth. It allows you to connect with your friends via text message, built-in walkie-talkie, and sharing your location and other data. ‘Light’ by Owen Song: Designed especially for trekkers, the ‘Light’ is a multifunctional device that works as a map during the daytime and it can be made into a flashlight for traveling during nights. GPS-Enabled Flashlight: The Polar Lights are especially designed for hikers, it combines GPS and flashlight in one gadget. Cord Lock Flashlight: The stainless steel spring lock securely clips to cord on your hoody, backpack, sleeping bag and more.Helioslight: The Helioslight keychain flashlight brightens up to 1100 lumen and comes with runtime use of 8 hours. It uses ultrastrong Neodymium magnet in the back that allows you to affix your flashlight to any steel surface. Wind ‘N Go Light Lantern: This Wind ‘N Go Light Lantern is an extremely bright, self-powered and compact lantern that features weatherproof housing. It can be recharged in 4 ways: handpower, via USB and, AC/DC input. 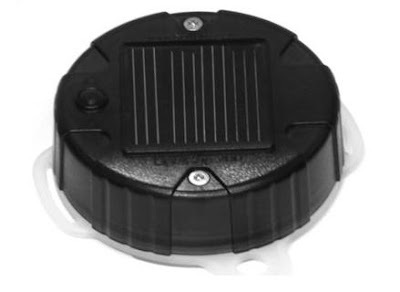 Its best suited for camping, motor homes, boating, fishing, garage, in car or at home. Lighthouse 250 Lantern: The Goal Zero Lighthouse 250 Lantern provides 250 lumens of bright light. It can be recharged via USB, solar or handpower. It also features a built-in USB port to recharge your handheld devices.Solar Powered Water Bottle Cover: This cover can be fixed on standard 2″- water bottles (such as Nalgene, Camelbak and more) and transforms them into a solar-powered lantern. Dual Beam Flashlight: The Nightlighter contains two distinct light sources; one shines on the area ahead of you while the other illuminates the area near your feet, and working together they provide a wide coverage illumination. 30 Day Lantern: This waterproof 300 lumen lantern lasts for about 30 days.Zerohour: This rechargeable flashlight features a USB backup to recharge your iOS and Android smartphones. Made from aircraft-grade aluminum, it features a 3400 mAh USB backup and its variable control ring allows you to choose brightness from 0 to 1000 lumens. mPower Flashlight: It gives 180 lumens of light and comes with a reserve power backup, which can hold its full capacity for up to 20 years. It also features a USB port for powering your other gadgets. VTS-191: This flashlight gives 200-lumen field light with added 25MV of security. Railroad Flashlight: The Railroad Flashlight features a rubber-coated body, a flexihandle and the reflector assembly can be rotated at any angle to focus the beam.Link Flashlight: The Link flashlight features an integrated carabiner and comes in bright orange.3500 Lumen Flashlight: This Nitecore 3500 Lumen Flashlight comes with coated mineral glass, constructed from aircraft aluminum alloy, and is completely waterproof (up to 2 meters).Inflatable Solar Lantern: The Inflatable Solar Lantern is a lightweight, waterproof and supremely portable lantern.HiLight Solar Recharger and Lantern: The HiLight Solar Recharger and Lantern provides pleasant, warm yet strong light enough to brighten a tent or a small room. It features a USB port for recharging smart phones, GPS, cameras and more. It can be recharged using solar power or via Micro-USB.Solar Flashlight: This transforming flashlight splits opens to become a lamp.Black Diamond Titan Lantern: It features a dual reflector system and gives out 250 lumens.Luxor: Luxor is an all-purpose flashlight with 710 lumens of light, angle focusing from 12-270 degrees without any moving parts. Foldable Flashlight Lantern: It unfolds to create 360° ambient light and functions as a focused flashlight when closed. Its compact, lightweight and a functional flashlight lantern perfect for travel. Flashlight by Armytek: Its rich in performance while compact in size; its impressive optics make it an excellent compact thrower with 437 yards, capable of producing 670 lumens of light. The flashlight has the reserve line for a backup and in event of non-working of main circuit; the reserve line works and gives more than 100 days of light. Apollo Flashlight: Apollo Flashlight produces 1000 lumens on the highest power setting and even at the lowest setting brightens your surroundings with a run time of 20 hours. It features a clicky switch with five different light functions.Coleman Quad Lantern: This clever lantern features 4 removable light panels that function as independent lights.Bottle Lantern: Its a standard wide-mouth water bottle with four bright lights in its cover. These are powered up for about four minutes of light by spinning the holding hooks for thirty seconds. Solar-Powered Inflatable Lantern: Its extremely lightweight, looks like a simple plastic bag, comes with a very thin solar panel and bright lights that powers up to four hours of lighting at 35 lumens, or up to six hours at 20 lumens.Solar Light Bulb: Ideal for indoor and outdoor lighting; it can be of great use during camping, it pays for itself in 15 days to 2 months by removing the need for candles or kerosene. Braven BRV-Bank Rugged Portable Backup: This Bluetooth-enabled power bank features a flashlight. And using its Braven BRV Bank App, you can wirelessly monitor power levels, start and stop recharging devices and locate the BRV-Bank from your smartphone. 15 Useful Bike Gadgets – Part 7. 15 Best and Useful Gadgets for Tech Savvy – Part 3. 15 Awesome Air Purifiers and Coolest Air Filter Designs – Part 2.